As most legislative sessions have come to a close, states have adopted policies to expand opportunities for learners. Maryland and Iowa took steps to improve apprenticeship programs, and Oregon passed a bill that would help to encourage construction workers to start their own businesses and expand the talent pipeline. In Maryland, Governor Larry Hogan signed two bills in May related to apprenticeships that strengthen the quality and accessibility of the programs to learners. HB1216 authorizes the State Department of Education to adopt regulations requiring the award of credit toward high school graduation for time spent in certain apprenticeship programs and expands state financial aid for apprenticeships. By allowing time spent in an apprenticeship program to count towards credit for high school graduation, this law prevents students from having to choose between work-based learning opportunities and the completion of high school credit requirements. Additionally, the expansion of financial aid will allow more students to access apprenticeship programs and gain the real-world experience needed to be successful in an ever evolving job market. Governor Hogan also signed HB1234, which authorizes county boards of education to award credit to high school students for work-based training or classroom instruction completed under a Registered Apprenticeship Program and prohibits certain institutions from referring to certain courses as an apprenticeship or apprenticeship training course unless the course is part of a Registered Apprenticeship training program. Since Registered Apprenticeship programs are registered with the United States Department of Labor (DOL) and must meet federal and state requirements, this law will help to ensure that apprenticeship programs in Maryland are high-quality and culminate with learners receiving portable, industry-recognized credentials. In Iowa and Oregon, governors took steps to advance their offices’ initiatives, both of which aim to build a talent pipeline to address the skills gap in their respective states. 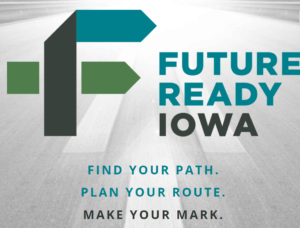 In Iowa, in alignment with Future Ready Iowa, Governor Kim Reynolds announced an online High School Apprenticeship Playbook, a guide that provides detailed steps for Iowa high schools, employers and students interested in establishing a Registered Apprenticeship program. This guide is meant to help scale apprenticeships in Iowa and provide a model from which schools can develop apprenticeship programs so that they don’t have to start from scratch. In Oregon, as part of the Future Ready Oregon initiative to turn wage earners into job creators, Governor Kate Brown signed HB4144, which aims to help mid-career construction professionals start their own business, and provides incentives to attract and retain new, young talent into the workforce through providing funding to new businesses and waiving all state fees and formal education requirements for aspiring entrepreneurs who have worked in the construction industry for more than eight years for certain construction licenses. Since our last update, an additional nine states have completed their legislative sessions (16 states, five US territories and DC remain in session), locking in a new wave of policies related to Career Technical Education (CTE). While itâ€™s too early to determine any national trends, we can certainly highlight a few new pieces of legislation. 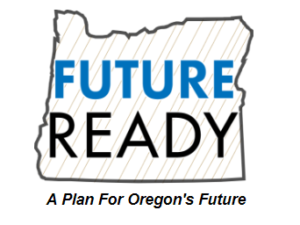 In this edition, we share some state policy updates as well as a few helpful resources. Directs school districts to develop an individualized career and academic plan for students in grade eight with an emphasis on work-based learning. Meanwhile Georgia, building off of the 2014 Work Based Learning Act, passed a law incentivizing employers to offer work-based learning opportunities for students aged 16 and older. The law provides a discount for workersâ€™ compensation insurance policies in an effort to reduce the burden on employers. In Missouri, the state legislature passed a combined bill that directs the board of education to establish requirements for a CTE certificate that students can earn in addition to their high school diploma (notably, with a provision to ensure that students are not â€œtrackedâ€ based on academic ability). It also modifies the composition of the stateâ€™s Career and Technical Education Advisory Council and permits the commissioner of education to appoint members. The bill has passed the legislature and awaits Governor Nixonâ€™s signature. Once signed, the CTE certificate requirements will go into effect during the 2017-18 school year. And with Coloradoâ€™s 2016 legislative session now closed, all is quiet on the western front. The Colorado legislature passed four bills originating from the bipartisan Colorado 2016 Ready to Work package, including the creation of the Career Development Success Pilot Program, which provides financial incentives to school districts and charter schools for each student who completes â€œindustry-credential programs,â€ internships, apprenticeships or Advanced Placement coursework in high-demand fields. The National Association of State Boards of Education (NASBE) launched a state policy database that includes regulations and practices governing college, career, and civic readiness in all states and territories. A new report from the Education Commission of the States (ECS) provides a brief history of state governance policies in higher education. Interested in mitigating teacher shortages? A five-part series, also from ECS, examines common teacher recruitment and development strategies across states.